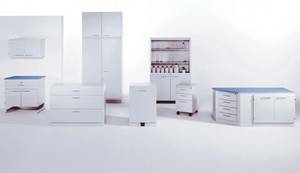 Available in several variants and always at high quality - these are the key features of our laboraty furniture. Find yourself the best furnishings. 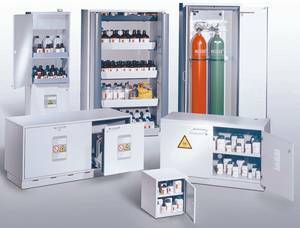 To protect the user from health attacking dangers, fume cupboards are used to filter harmful particels from the air. The AutoProtect system makes out activities in front of the escape, and switches on and off as required. 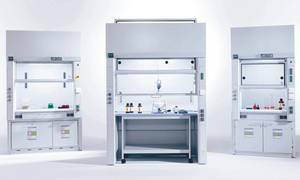 Everybody makes mistakes, which makes it even more important to have high safety standards in your laboratory, where working with dangerous and harmful chemicals is daily fare. With our safety technology, the hazard potential is minimised. With our media systems, all of your media is with you just where you need it. 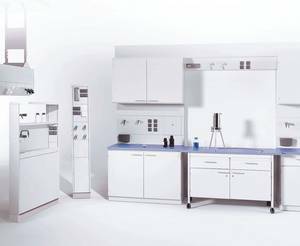 With a wide range of various systems, every laboratory can be individually equipped.